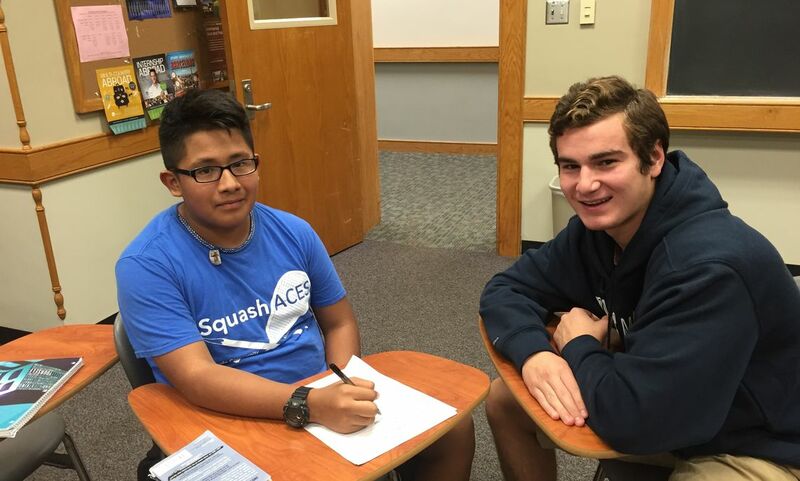 Squash ACES encourages all participants to discover the best versions of themselves through mentoring relationships that inspire a deeper commitment to learning, healthy lifestyle choices, and civic engagement. 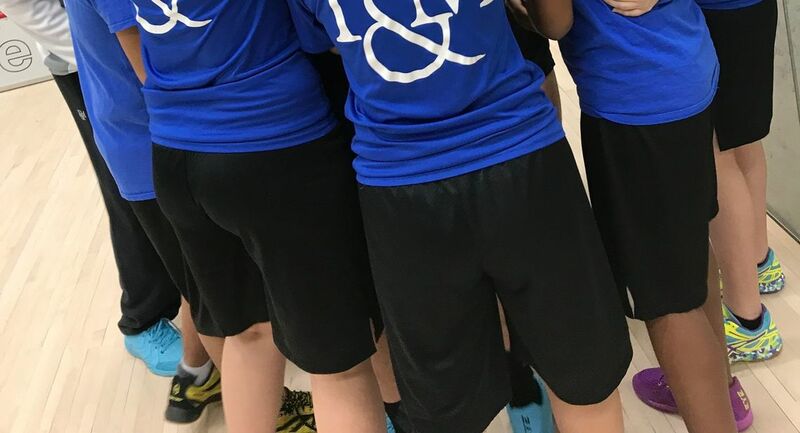 Located on the campus of Franklin & Marshall College and in partnership with the School District of Lancaster’s Reynolds Middle School and McCaskey High School, F&M Squash ACES presents a number of unique opportunities that set us apart. ACES is rooted in a long-term commitment. 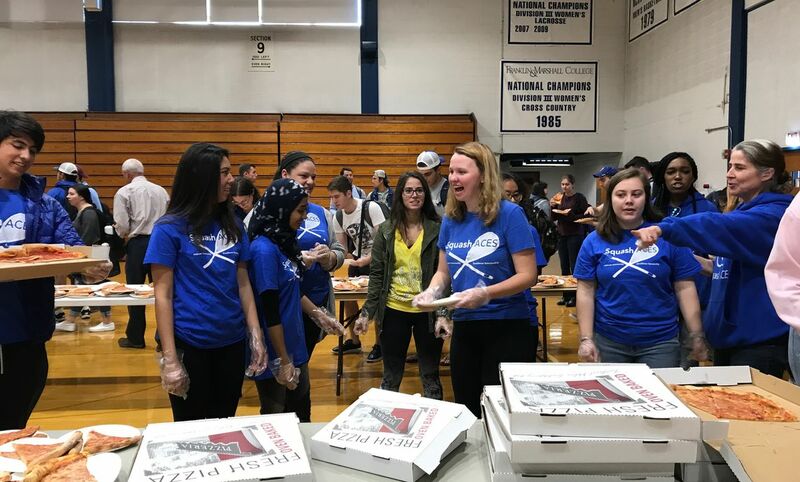 The students form lasting relationships with F&M student volunteers, ACES staff and one another. ACES calls the beautiful F&M campus home. 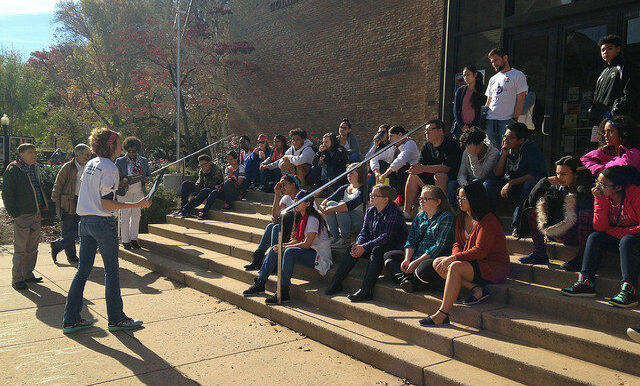 The students are exposed to and familiar with a college campus during formative education and goal-setting years. 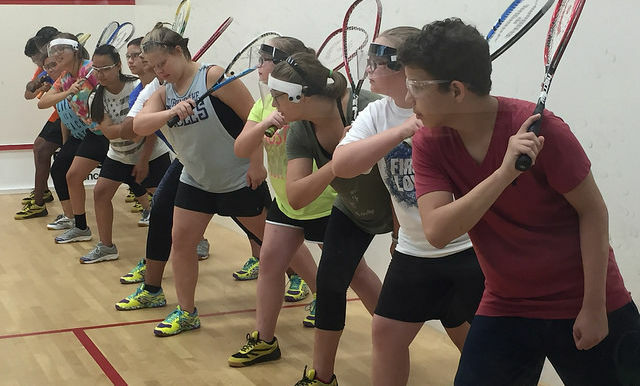 ACES gives students the opportunity to learn and play the competitive racquet sport, squash. 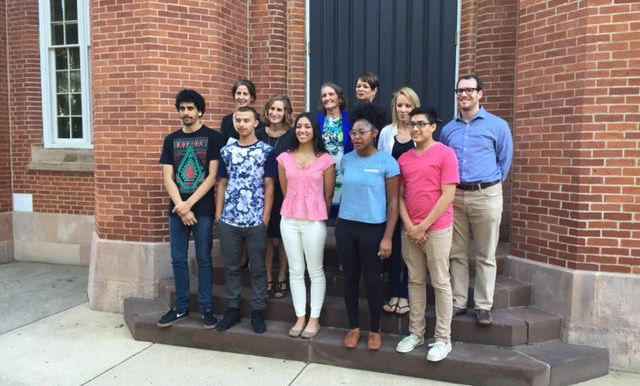 Squash ACES is strongly supported by students of Franklin & Marshall. Members of both the F&M men and women’s Diplomat squash team engage in on-court coaching. Off-court, academic assistance and mentoring are supported by F&M student volunteers. F&M students further their interests in service and education while becoming active members of the Lancaster community. 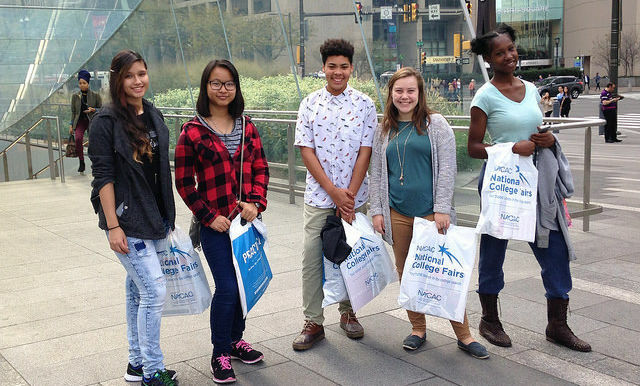 ACES students span both middle and high school. Interested in Becoming an ACES Mentor? Mentor selection and training occurs at the beginning of each academic semester. Volunteering with ACES is an on-campus service opportunity. 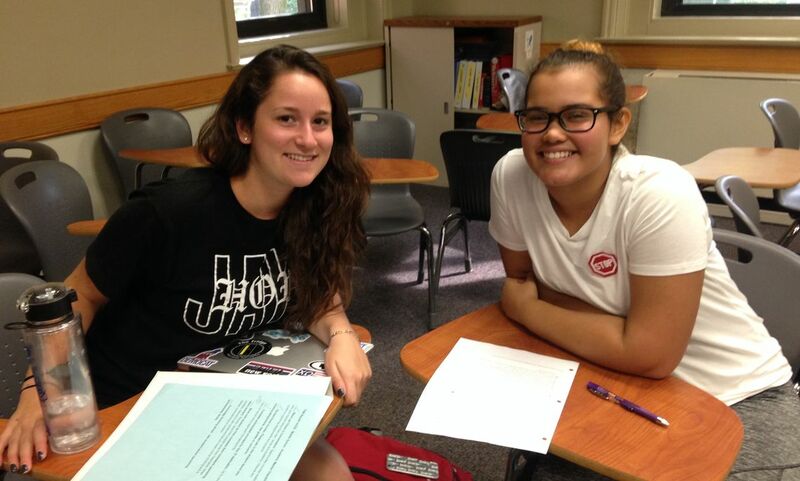 The program meets on campus each Tuesday and Thursday from 4:45-6:00 p.m. during the academic year. Volunteers must be able to make a semester-long commitment to the program. 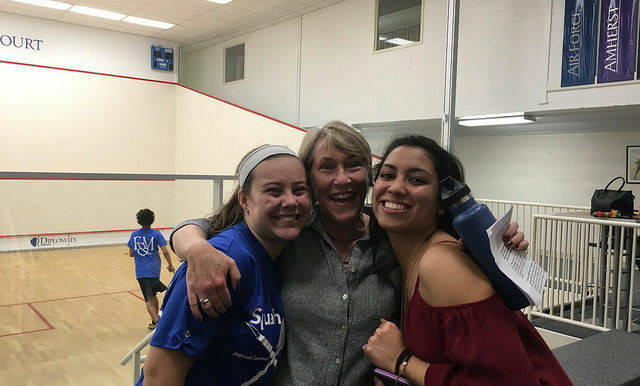 Mentors also have the opportunity to participate in special Squash ACES activities including field trips, bonding events, and community service projects. Check out our Facebook page and Instagram for updates and great pictures. 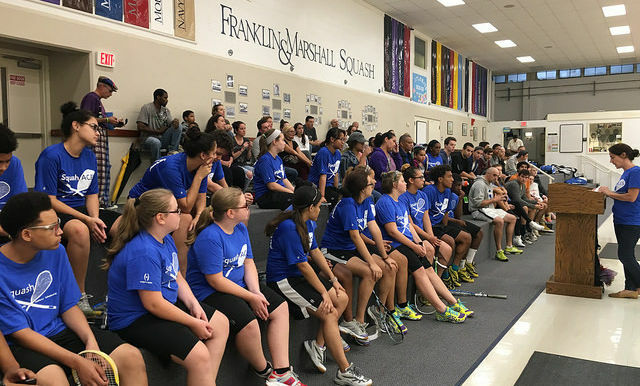 You can support the Squash ACES program through the Franklin & Marshall Gift portal (link below.) When designating your gift select "other" and note "Squash ACES" in the comments.